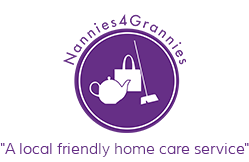 Nannies 4 Grannies Ltd understands that your privacy is important to you and that you care about how your personal data is used. We respect and value the privacy of all of our staff and clients and will only collect and use personal data in ways that are described here, and in a way that is consistent with our obligations and your rights under the law. Limited Company registered in England under company number 8826570. Registered address: 21 Victoria Street, St Albans, Herts, AL1 3JJ. Main trading address: 21 Victoria Street, St Albans, Herts, AL1 3JJ. We are registered with the Information Commissioner’s Office, registration ID ZA371360. The right to be informed about our collection and use of your personal data. This Privacy Notice should tell you everything you need to know, but you can always contact us to find out more or to ask any questions using the details below. The right to have your personal data rectified if any of your personal data held by us is inaccurate or incomplete. Please contact us using the details below to find out more. Supplying services to you. Your personal details are required in order for us to enter into a contract with you. Supplying you with information by email or post that you have opted-in to (you may unsubscribe or opt-out at any time by contacting us). We will retain client data for 1 year from when we have stopped working for you. If any personal data is transferred outside of the EEA, we will take suitable steps in order to ensure that your personal data is treated just as safely and securely as it would be within the UK and under the GDPR, as explained above. We will respond to your subject access request within one week and, in any case, not more than one month of receiving it. Normally, we aim to provide a complete response, including a copy of your personal data within that time. In some cases, however, particularly if your request is more complex, more time may be required up to a maximum of three months from the date we receive your request. You will be kept fully informed of our progress. Postal Address: 21 Victoria Street, St Albans, Herts, Al1 3JJ. We may change this Privacy Notice from time to time. This may be necessary, for example, if the law changes, or if we change our business in a way that affects personal data protection. Any changes will be made available via our website and email.